Mr. Jacobson has been a member of the Oaktree Specialty Lending Corporation and Oaktree Strategic Income Corporation Boards since October 2017. Mr. Jacobson is a founder and partner with the law firm of Hansen, Jacobson, Teller, Hoberman, Newman, Warran, Richman, Rush, Kaller & Gellman LLP where he practices in the area of media business. Mr. Jacobson founded and operates New Form Digital, a venture with Discovery Media and ITV Studios which produces scripted short form online content, and Whisper Advisors, a boutique investment banking and advisory company. 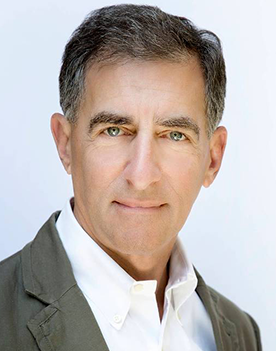 Mr. Jacobson serves on the Board of Directors of Tribune Entertainment, Expedia and Charter Communications. He is a member of the Audit and Compensation Committees of Expedia and Tribune Entertainment and chairs the Compensation Committee of Tribune Entertainment. Mr. Jacobson has previously served as a director of TicketMaster, Eventful and Aver Media. Mr. Jacobson received a J.D. from the George Washington University Law School and holds a B.A. from Brown University.